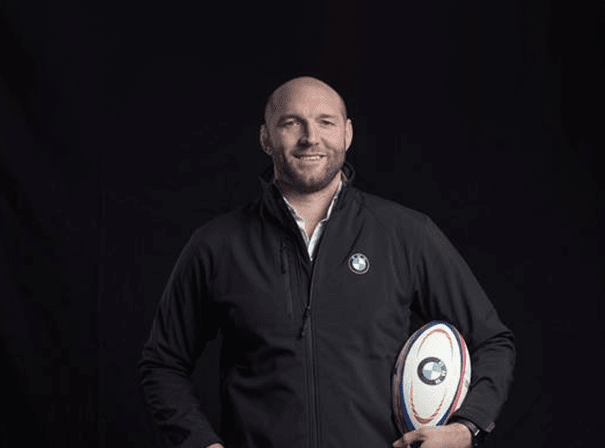 If it’s decorated international rugby players you’re after to light up your after dinner event, Ben Kay is the assured public speaker you need. His domestic career successes include four Heineken Cup Finals as well as winning six separate Premier League titles with Leicester Tigers in his long tenure with the club from 1999 to 2010. Born in Liverpool to a Lord Justice of Appeal (hence Kay’s affectionate nickname of ‘M’Lud’), the huge second row player only had one team throughout his career, first breaking into the side when first choice teammates were off playing for England. It wasn’t long before Kay himself turned out for England having developed his game – and having become a specialist jumper in the line-out – making his full debut in June 2001 against Canada. Scoring tries for both Leicester and England, Kay played in a number of Six Nations competitions as well as the World Cup winning side of 2003 where he played every minute of every game bar one. As such it’s no real surprise personal honours include winning the Tigers Members’ Player of the Year 2001/2 award as well as being nominated for the Zurich Premiership Player of the Year award in the same season.